It seems that more and more of us – at work and at home – are looking for ways to stop wasting food. Over 80% of shoppers are now willing to buy wonky veg and funny fruit if the price is right, according to new research by British firm Blue Yonder. Businesses are getting in on the act too, with brands like Get Wonky juices being launched and new food waste supermarkets opening. A growing network of cafés called The Real Junk Food Project is diverting food destined for waste to create delicious meals. 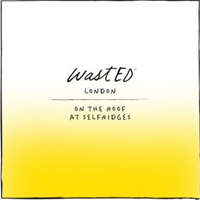 While Michelin-starred Chef Dan Barber has brought his wastED pop up over from New York to Selfridges in London using produce that may have been wasted to create fine dining-style dishes. If you run a commercial kitchen, check out our Pac ‘n Vac professional range for storing food. You’ll also find lots of other easy, practical ways to reduce food waste on WRAP’s whole site dedicated to the UK hospitality and food service sector.